Even the view from the airport parking lot took my breath away. I had the opportunity to travel to beautiful Bozeman, Montana recently for a business educator’s conference. The Western Business Education Association held its annual conference in this very pretty town. Hawaii group + Eric from Montana. 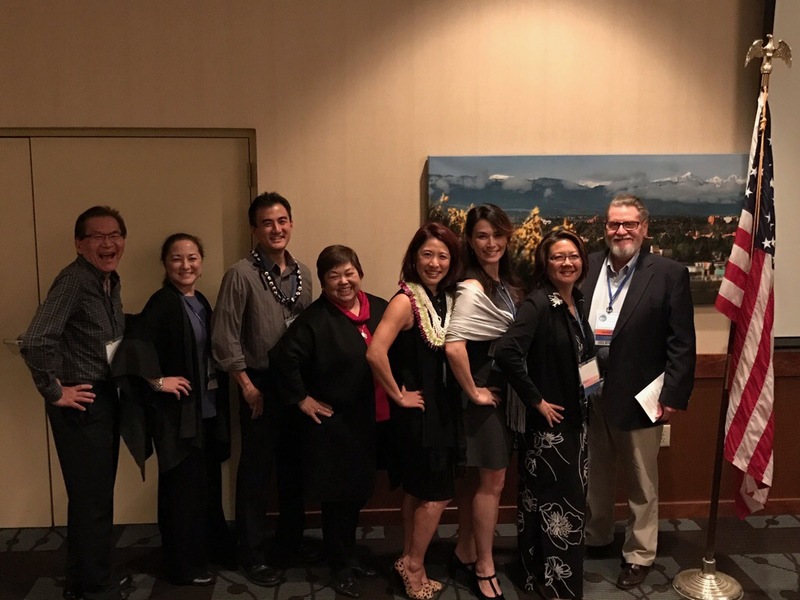 There were eight Hawaii business educators from Hawaii CC, Kauai CC, Leeward CC, and Remington College who attended this conference. 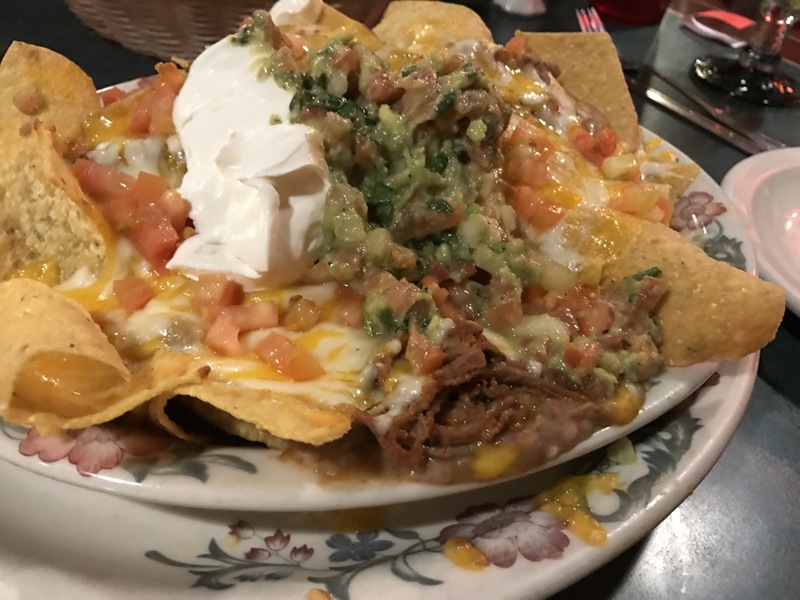 The first night, the Hawaii group visited Fiesta Mexicana just a few minutes away from our Best Western Plus GranTree Inn. 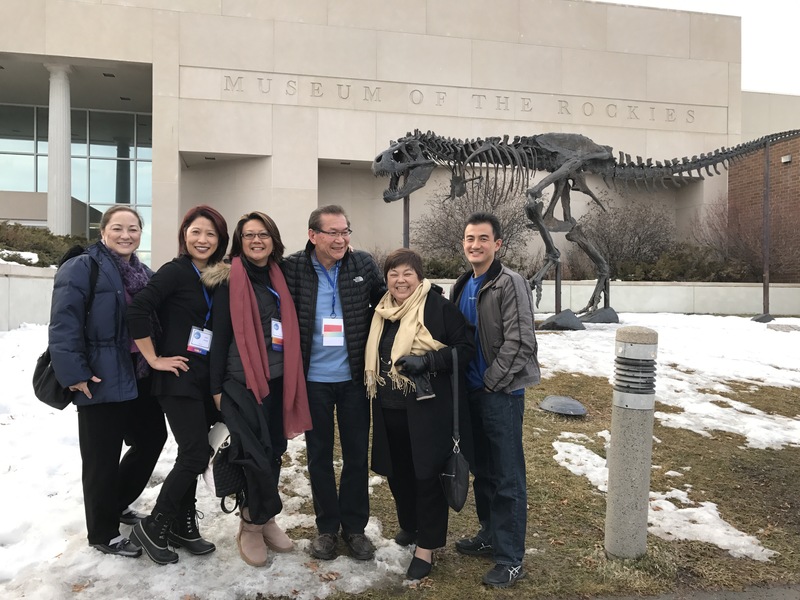 One of the evening networking events took us to the Museum of the Rockies where we had a delicious pulled pork dinner after normal museum hours. It was awesome to be able to explore this dinosaur museum after hours. Museum of the Rockies at Montana State University is a Smithsonian Affiliate, recognized as one of the world’s finest research and history museums. It is renowned for displaying an extensive collection of dinosaur fossils, including a T. rex skeleton! MOR delights visitors with changing exhibits from around the world, permanent indoor and outdoor regional history exhibits, planetarium shows, educational programs, insightful lectures, benefit events, and a museum store. Museum of the Rockies is both a college-level division of Montana State University and an independent 501(c)(3) nonprofit institution. Accredited by the American Alliance of Museums, MOR is one of just 775 museums to hold this distinction from the more than 17,500 museums nationwide. The Museum is a Smithsonian Affiliate and a repository for federal fossils. On the day before we left, we found time to take a tour to Bridger Brewing in the middle of the Montana State University campus. 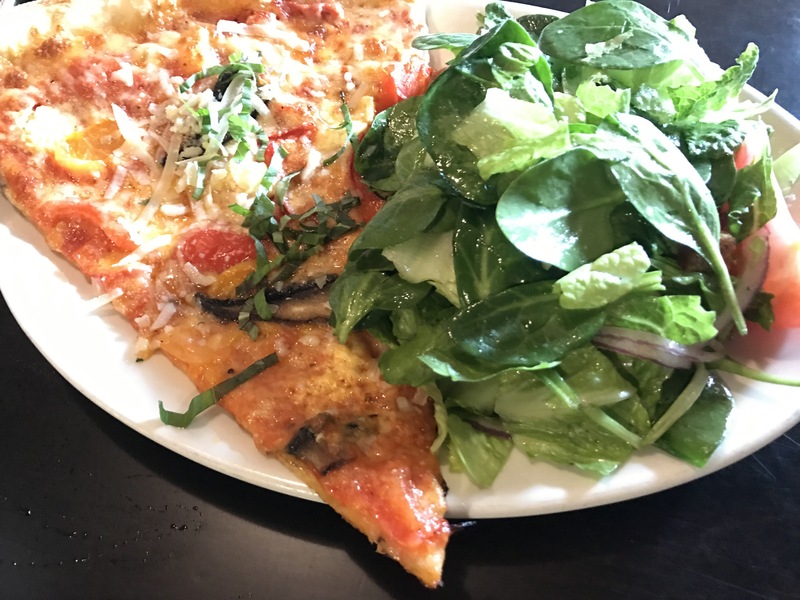 The pizza and beer were delicious! We learned lots from Head Brewer Daniel Pollard. 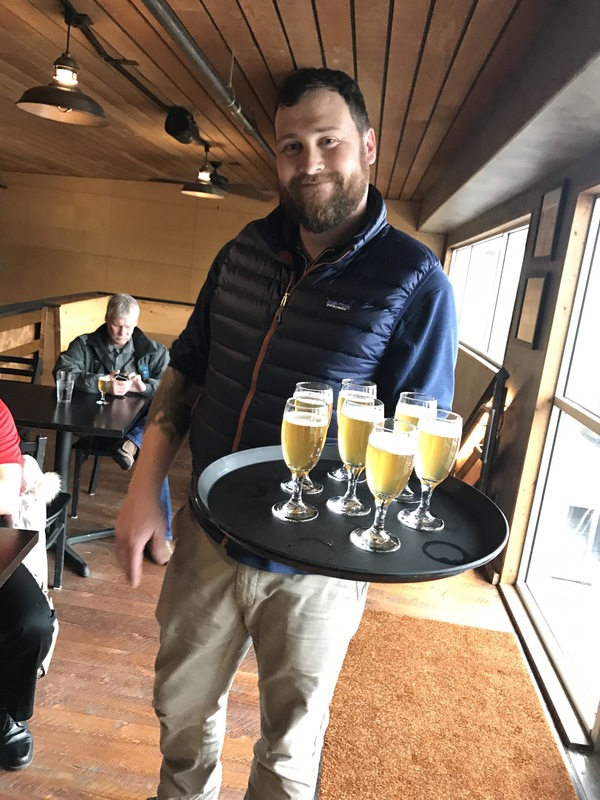 Daniel comes to Bridger Brewing with a polished brewing pedigree from Pelican Pub & Brewery in Pacific City, Oregon. With a vast knowledge base that spans from beer to fountain pens, Daniel’s expertise seemingly knows no bounds. The restaurant was upstairs from a grocery store I took the time to visit and found that it sold elk and bison jerky. Cool omiyage to bring home for my husband. I find that food omiyage is more appreciated than a t-shirt in my household. My favorite part of the weekend visit? Other than the awesome information I learned and the renewed excitement and energy I got for teaching business education? It has to be the fact that it snowed while we were there. 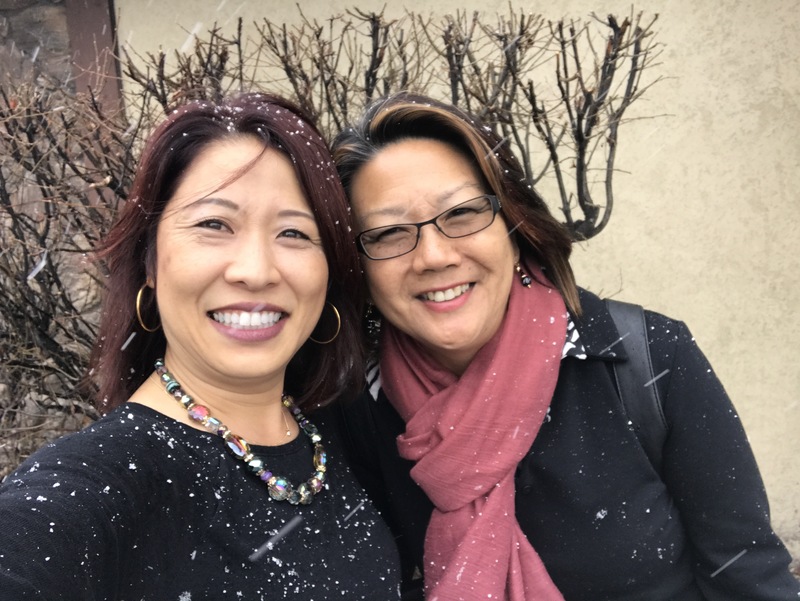 Cheryl and I were so silly/happy in the falling snow. I did not get to see any bears while I was there but there must be more than a few people who carry bear spray with them. I saw this sign at the airport while checking in. 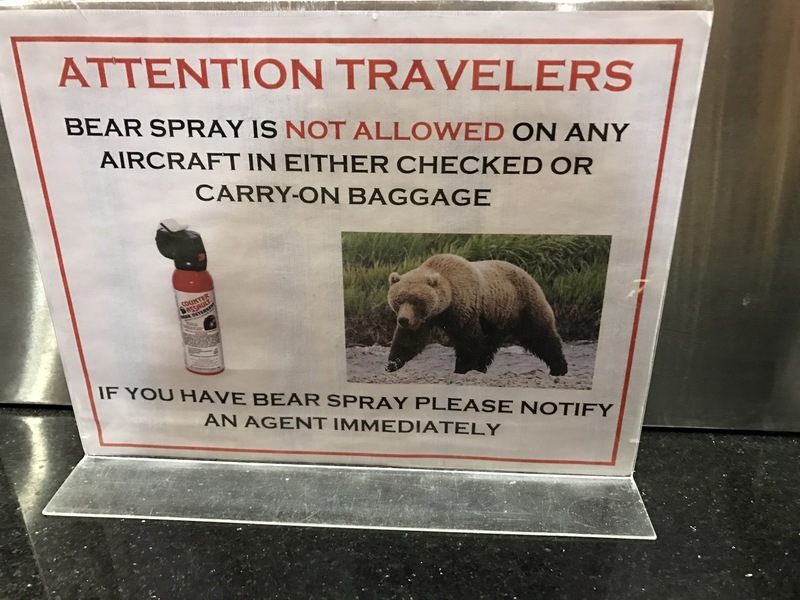 Luckily I did not have any bear spray in my checked or carry-on baggage when I was checking in for my flight. Living Hilo Style in Bozeman, Montana.